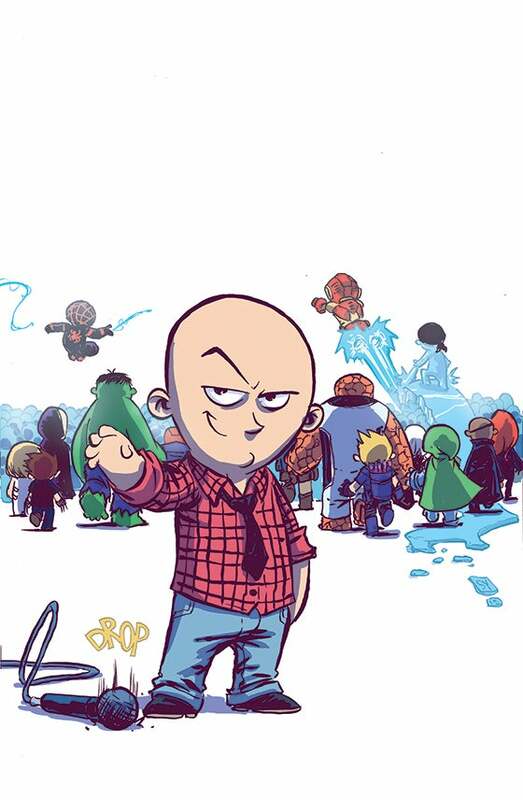 A new Skottie Young variant for Ultimate End was revealed Friday via Brian Michael Bendis' Tumblr. The cover features...well, Brian Michael Bendis. 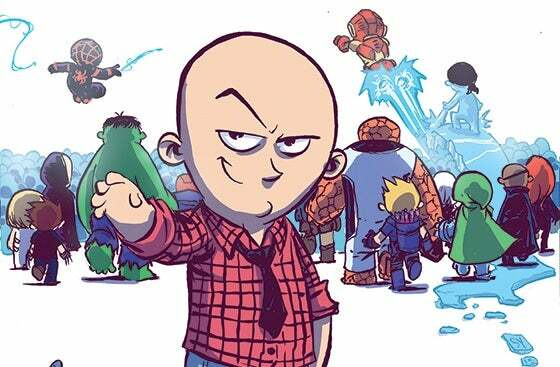 And as the Ultimate Universe that he was instrumental in building draws to a close, Young depicts Bendis literally dropping the microphone as he completes his years-long work on the family of books. "He surprised me with it. And then gifted it to me. Skottie is a good one," Bendis explained. The Ultimate Universe was originally conceived as a new world where the heroes could be younger and reinvented, either to be truer to their original selves or to reflect the modern world -- all with an eye toward attracting new readers because the familiarity of the Marvel characters and universe wouldn't be struggling against the constraints of decades of continuity that new readers can feel intimidated by. Years later, it developed its own complex, alternate history and is one of a number of alternate Marvel Universes battling it out in Secret Wars.